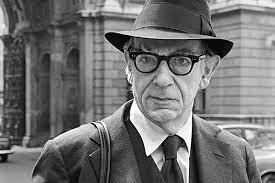 Regular readers will know that Isaiah Berlin has featured prominently in my research. His planned trip to Russia with Guy Burgess in 1940 was what triggered the course of study leading to my doctoral thesis; my article in History Today, ‘The Undercover Egghead’, analysed his role in intelligence; his study of Marx and Marxism plays a pivotal role in Misdefending the Realm, where I also record his wartime activities, including his somewhat shady dealings with the Soviet agent Gorsky; I have written about his private life in ‘Isaiah in Love’, and in ‘Some Diplomatic Incidents’, both posted on this website. Throughout this time Henry Hardy, Berlin’s chief editor, and the man largely responsible for bringing Berlin’s writings to orderly publication, and a broader audience, has been very helpful to me, providing me with unpublished source material, and answering my questions. He attended the seminar on Berlin that I held at the University of Buckingham, and I had the pleasure of travelling to the Wirral to visit him a few years ago. Yet Henry has, quite naturally, been a little suspicious of my motives, thinking that I was perhaps a ‘conspiracy theorist’ (true, in a way), and he has probably not agreed with all my conclusions about the qualities of Berlin’s thought, or the judiciousness of some of his actions. I believe I can confidently state, however, that he respects the seriousness of my methods, and my commitment to scholarship. Last year, Henry published a book titled In Search of Isaiah Berlin, in which he describes his decades-long relationship with Berlin, and his struggles (as they must surely be called) to bring Berlin’s papers to a state ready for publication and see them into print. (He had already kindly sent me some of these works that I had not already acquired.) A philosopher himself, Henry also records the exchanges he had with Berlin in trying to understand exactly what lay behind the ideas his mentor espoused, attempting to resolve what appeared to him to be contradictions. Are human values in some way universal, and thus shared? If so, whence do they derive? And should we treat behavior that appears essentially as ’evil’ as still ‘human’? How does a pluralist outlook relate to the national culture to which it belongs, and how should it treat dogmas that ruthlessly reject such a compromising worldview? Can pluralism function as a remedy against relativism, namely the view that values have no standing outside the society or person who espouses them? Berlin appeared to cherish some thoughts about the objectivity of such a common core of values across humanity, but provided little evidence, and Henry’s earnest and well-framed questions frequently drew no convincing response from Berlin. I was somewhat alarmed at the fuzziness of all of this, and accordingly organised some thoughts to send to Henry, to which he generously replied. That exchange comprises this Special Bulletin. Henry’s comments appear in bold in the passage below. The dominant thought that occupied me was that, if the great thinker’s ideas needed to be explained by his amanuensis, and yet that interpreter could not find any consistency or coherence in them That’s an exaggeration: my difficulties are local, and I believe resolvable, though not, it seems, by IB at that stage of his life, when his mind had begun to rigidify, then perhaps the ideas were not that outstanding in the first place. Some critics have called out IB for humbuggery, but, now having read your book, I am more convinced that IB accepted that he was not a great or original thinker, and was indeed surprised by the attention, acclaim, and awards that he received. Yes, I think he meant it, though he was not too keen when one agreed too readily. What also struck me was a disappointing vagueness in the terminology used in the discourse. That point is well taken, and indeed I make it myself in the book (e.g. p. 207). But to some extent vagueness goes with the territory: ‘Out of the vague timber of humanity no precise thing was ever made’, one might say. This point was made by Aristotle: ‘It is the mark of an educated man to look for precision in each class of things just so far as the nature of the subject admits; it is evidently equally foolish to accept probable reasoning from a mathematician and to demand from a rhetorician scientific proofs.’ Nicomachean Ethics, Book I, 1094b.24. IB himself is aware of this point: I could look for the references if you wanted them. But the main message is that human affairs do not lend themselves to the same precision as the sciences. You may recall that, in Misdefending the Realm, I wrote of IB’s book on Marx: “In his method and style, Berlin echoes much of Marx’s verbosity, and displays an unexpected lack of precision in his references to such concepts as ‘civilisation’, ‘class’, ‘nation’, ‘race’, ‘community’, ‘people’, ‘group’, ‘culture’, ‘age’, ‘epoch’, ‘milieu’, ‘country’, ‘generation’, ‘ideology’, ‘social order’, and ‘outlook’, which terms all run off the page without being clearly defined or differentiated.” I am not sure that watertight definitions of these terms are possible; but of course one should use them with all due care. (I also asserted that the book was ‘erudite, but not really scholarly’ – an opinion with which Professor Clarke of All Souls and the University of Buckingham agreed. I agree too. Did you really find it ‘brilliant’ (p 61)? Yes, in the sense that he gets inside Marx’s skin and understands what makes him tick: far more important, in my opinion, than getting the references right. Sadly, I saw this pattern repeated in many of the exchanges you had with IB. What does it mean, for example, to wish that humanity could have ‘moral or metaphysical unity’ My phrase not IB’s: I meant living in a shared moral and conceptual world (p 251)? Who are ‘normal human beings’ (p 177)? That is the $64,000 question, to which chunks of this book, and all of the next one, are/will be devoted. It was also one of IB’s recurring themes, of course, but it is not an easy one: he appeals to ‘A general sense of what human beings are like – which may well not merely have gaps but be seriously mistaken in places – but that cannot be helped: all vast generalisations of this kind are neither avoidable nor demonstrable’ (p. 189). I also found the debate all very abstract. That may be a valid criticism. My own default methodological rule is to give at least one concrete example of every abstract point, but I expect I fail to do this reliably in the book. 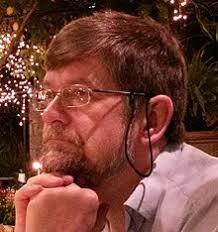 However, part of the problem is that IB and I have a more philosophical temperament than you do, as a historian. That’s why I invited unphilosophical readers to skip chapters 9–11. Do you not agree that it could have benefitted from more real-world examples? Probably (see above). Perhaps some references to research being performed in more scientific disciplines than philosophy, such as anthropology, psychology, evolutionary biology, or even history, and the dreaded sociology? Perhaps, but a leading burden of IB’s song is that human studies are generically different from scientific ones, and this means that there is a limit to how far the latter can throw light on the former. Some disciplines are partly hybrids between the two, including those IB mentions on p. 189; and he always insisted that science should be used to the maximum extent possible. I, however, am too ignorant to summarise the current state of science. (IB tends to support this point of exposure on p 189.) As I write, I have in front of me the March 1 issue of the Times Literary Supplement. In one review, the anthropologist Richard Wrangham is quoted as identifying ‘coalitionary proactive aggression’ as a drive that launched human ancestors toward full humanity. I read that review too, and found it enormously suggestive. A few pages later, Michael Stanislawski draws our attention to Omer Bartov’s Anatomy of a Genocide (which I have read, and have referred to on my website), which describes how members of a friendly community suddenly turned mercilessly on each other under the experience of both Nazi and Soviet occupation. What do such pieces tell us about any consistent ‘human nature’, and how could other such experts contribute to the debate? Good questions, which again I am not competent to answer. But there are connections between them and my suggestion that IB underrates evil. I believe that one of the problems is that, if we talk about ‘human nature’ in a vacuum, we enter the world of mysticism, akin to that of religion. Ignorance rather than mysticism, in my case: I am dead against mysticism. Where does human nature reside? In human biology, history and society. How is it passed on genetically by DNA, or modified by culture and education? IB (p 184) indicates that he thinks that religion is ‘hard-wired’ into human nature: if this were true, how and when did this occur? Who knows? We can only examine ourselves as we are now, and such records of the past as we have, and speculate. And when did the wiring fail I don’t regard its absence as any kind of failure, but as a (sometimes hard-won) strength for those of us who do not require that facet in our lives? And how do such religious instincts get wired into those who would practice, say, honour killings, under the guise of religion by culture, again, which can be a malign force? Does human nature thus not end up being simply those traits that we enlightened beings consider desirable? We must avoid that risk: it should be those traits that are actually beneficial, which is a different matter. Or is human nature just another name for something that is mere tradition, and thus differs in separate countries and times, like the practice of suttee or female circumcision? No: that’s exactly what the term is not supposed to refer to. (Would their adherents say it was ’tradition’ it’s mistaken tradition, in my opinion or ‘human nature’?) And what do we do with a monster like Eric Hobsbawm, who was feted for his historical accomplishments, but to his dying day refused to deny that the murder of millions on behalf of the Communist cause had been a mistake? Was he human? Or was he simply ‘malign’, a ‘pinpusher’, as IB might describe those who fall outside the morally acceptable? Was he ‘evil, without qualification’ (p 194)? Not quite, perhaps; but he was what IB describes as ‘wickedly wrong’ (p. 261). P.S. I noticed that, in the next issue of the TLS, dated March 8, David Kynaston offers a review of Richard J. Evans’s biography of Hobsbawm, subtitled ‘a national treasure whose politics provoked endless bitterness’. What can one say about a ‘culture’ that promotes a worm like Hobsbawm to such status? It is all here, including the notorious ‘Desert Islands Discs’ programme where Hobsbawm openly approved the slaughter of millions in the communist cause. As John Gross is recorded here as saying, such apologists would have been the first to be lined up against the wall to be shot. On religion, I was surprised by your rather weak defence of atheism, as if we needed a new term to define somebody who simply ‘doesn’t understand’. I think we do, for the reasons given; but this doesn’t make one a weak(er) opponent of religion, as my book surely shows. If I am faced with all the verbal paraphernalia of, say, Christianity, with the ideas of God, angels, saints, sin, salvation, heaven, hell, Holy Spirit, saviour, resurrection, eternal life, soul, immaculate conception, transubstantiation, prayer, etc. etc., it is quite easy to take the line that this is all mumbo-jumbo, and no more worthy of discussion than the existence of the Tooth Fairy. It would be easier for me to have conversation about beginnings and ends with an atheist from Turkmenistan than with my fundamentalist Baptist neighbour, who is presumably of the same ‘culture’ or ‘society’ that I find myself in. I share your alienation from that terminology, but to call it mere mumbo-jumbo underestimates its allegorical/metaphorical significance for many believers, something IB accepts (up to a point). It is no doubt fashionable to talk about ‘cultures’, and the pluralist bogeyman of ‘multiculturalism’, but I believe the concept is much more fluid (and evasive) than your debate suggests. I would maintain that we have to inspect ‘culture’ in at least three dimensions – temporal, geographical, and social, and determine how it relates to the concept of a nation (is there a national ‘culture’ yes, to a greater or lesser extent is specific cases; how does it relate to that country’s rule of law closely?). For example, British (or English!) culture has changed over the centuries: we no longer accept bear-baiting, hanging, slavery, child labour, or duelling, but are currently torn over fox-hunting, and largely indulgent of fishing for sport. Our mores over divorce and homosexuality have gradually evolved in recent decades. We extend the geography to talk about ‘European’ culture, which in its most lofty forms presumably means such features as a free press, scientific inquiry, French cuisine, the Prado, and the Eurovision Song Contest, but have to make exceptions for such localised cultural activities as eating horseflesh, bull-fighting, euthanasia, and lax regulations concerning gun-ownership. (European culture also produced the horrors of Nazism and Communism.) Within a certain country, there may be differences between (and I hesitate to use the terms) ‘high’ culture, such as opera, fox-hunting and polo, and ‘low’ culture, such as fishing, greyhound racing, grunge rock, or trainspotting (p 223)! I might consider myself a ‘cultured’ person without indulging in any of those activities. Thus I find it very difficult to identify something that is a clear and constant ‘culture’ among all these behaviours. Fair enough. One can certainly try to be more careful in one’s use of terms such as ‘culture’. But everyone knows what one means by something being characteristically British, German, Japanese etc. So what is the pluralist culture that IB defends? He says (p 194) that he is ‘wedded to his own culture’ – but what is that? Englishness, mainly. He writes about a ‘dominant culture’ in every society, and asserts that the ‘society’ has a right to protect itself against ‘religious or ethnic persuasions which are not compatible with it’ (p 199). But what standing does this have in law? Culture doesn’t operate only by legal means; but law can help support the dominant culture. Enlightened people should stand up against ‘grooming’ and bigamy, presumably of course, but who decides what is compatible and what is incompatible outside the processes of legislation? Everyone, by consensus. What allowances are made for religious observance? I wish it were none, but can’t persuade myself to defend such an extreme position. Should parents be allowed to indoctrinate their own children in some faiths, but not others? Not in any faith, say I: all children should be educated in the plurality of faiths, in the hope (for me) that this will help inoculate them against faith as such. Are they allowed to reject certain socially beneficial practices, such as vaccination? I say no. Don’t tell the Jehovah’s Witnesses! What would IB have said about wearing the niqab in public places? He was probably in favour of allowing it: some Jews, after all, wear skullcaps in public; some Christians crosses. It makes my own flesh creep, but I can’t agree that it should be totally banned. The best test of one’s tolerance is when it is most severely tried. I think making that equivalence of ‘a culture’ with ‘pluralism’ is spot on bravo, although I think Kureishi is being too optimistic yes: what he should have said is that they should be universal values when claiming these are ‘universal values’, as apparently even members of the intellectual elite do not share them with him, let alone Islamicists = Islamists/Moslems?. And of course, Britain is still part of Europe, with or without Brexit, so the distinction between ‘British’ values and ‘European’ values is somewhat specious, but also telling. Henry and I could probably debate further, but I think we are of a very similar mind, and the differences are minor. I did add to him that I thought that philosophers (and others) have to be very careful when they use analogies from the sciences in describing human behaviour (e.g. ‘hard-wired’, ‘in our DNA’), because the usage is dangerous as a metaphor, and inaccurate if meant literally. I also don’t deny the succour that religion has brought to many people (the Paul Johnson theory that because it is beautiful and beneficial, it must be true), but it doesn’t alter my belief that it should be called out for what is, and mumbo-jumbo conveys exactly the right spirit for me. I hope this exchange encourages readers to seek out Henry’s book – and, of course, Misdefending the Realm, for those who have still resisted my entreaties. I look forward to the next publication he promises us. 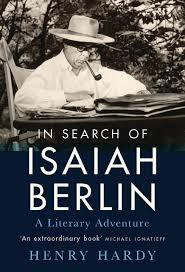 Your comments about Isaiah Berlin remind me of a set of issues that I find troubling. Palestine was part of the British Empire. Weizmann was, at the time, regarded by the British Imperial Government in a class with Gandhi and Nehru–a subversive, seeking to detach a part of the Empire. The Imperial Government came quite close to imprisoning him, as it did in fact with Nehru. Berlin’s association with Weizmann could have put him in the same category. One can only speculate, but it is possible that what saved both Weizmann and Berlin were their connections in the United States. The initiator of the abortive Burgess/Berlin Moscow expedition was neither Burgess nor Nicolson, but Gladwyn Jebb, which means British secret intelligence, perhaps wishing to establish a channel of communications with their Soviet opposite number. This is not unusual. Relations between secret police organizations are rarely troubled by inter-governmental issues. Thank you so much for this post, Michael. Comments on such topics are just what I am looking for. I don’t think Weizmann was in bad odo(u)r with Churchill at the time: the British government was exploring the creation of a Jewish Brigade, but the idea fell apart, not helped by the death of Lord LLoyd, the Colonial minister. At this stage of the war, Weizmann was solidly behind Churchill. Do you agree? As for Jebb, I am intrigued. He was clearly the Section D fixer, as the liaison between the FO and the intelligence services, but I would be amazed to see him having enough clout or will-power to push the Mission to Moscow through. As I explain in ‘Misdefending the Realm’, neither WSC nor Cadogan thought very highly of him (‘jibbering-jabbering Jebb’), and he would have had to convince them both, as well as Halifax, about the appropriateness of such a mission. (‘Very courageous, Jebb’ – and rather career-threatening.) Can you share with us your evidence for Jebb’s taking a leading role? By the way, MI5 was not a ‘secret police ‘organisation like the Gestapo or the NKVD. It had no powers of arrest or prosecution. You will recall that in my book “Guy Burgess: Revolutionary in an Old School Tie,” with which you were very helpful, on pp. 148ff. : “In 1994, Berlin told Michael Ignatieff that during those dramatic weeks, like Fitzroy Maclean, he had been trying to find a role in the war effort, but unlike Maclean, he was not fit for duty in the Army. Harold Nicolson, at the Ministry of Information, was receiving a steady stream of people seeking his approval for one thing or another (often to leave Britain for America). He noted in his diary for June 17, 1940: “Isiah [sic] Berlin came and wants to go to Russia.” (It will be recalled that at this point the Soviet Union was still allied with Germany.) Nothing coming of that meeting, Berlin then wrote to the Foreign Secretary, Lord Halifax, on June 21st, saying that he wanted to go to Moscow because he thought he could be of some help there in the war effort, which he could not contribute to in the normal way because of his disability and origins. A few days after that, Guy Burgess, whom Berlin had not seen for a couple of years, paid a visit to Berlin in his rooms at Oxford. Berlin, and his friends the Rothschilds, were, as had been Hobsbawm and his friends, suspicious of Burgess, believing that he had turned fascist. Burgess assured Berlin that he had not, in fact, done so. He told Berlin that he was working for M.I.6, that he was going to Moscow, and suggested that if Berlin did indeed wish to go to Moscow in an official capacity he should go at once to see Nicolson again at the Ministry of Information. Berlin therefore again traveled down to London and in his account of this meeting he has Nicolson sending him on to the Foreign Office to see Gladwyn Jebb, who was at that moment the Private Secretary of the Permanent Under Secretary, Sir Alexander Cadogan. Half a century on, Berlin remembered Jebb saying: “Harold talked to me about this, it’s a jolly good idea. Now look, we can’t send you by Norwegian tramp to Russia because they’re all sunk these days. There are two ways of going, one is via South Africa and Persia, the other is via America and Japan. * Which do you prefer?” Berlin preferred the route via America and Japan. “OK, we’ll fix that up. Right, now look, only one thing here, I forgot to add that Guy’s going with you if you don’t mind, he’s got his own stuff to do, nothing to do with you . . . you needn’t know anything about it at all. But you’ll both be carrying bags, diplomatic bags, that’s the best way of doing it.” When the question of a visa came up, Berlin told Jebb that as he was born in Riga “I’m not sure that I’d be really safe in the Soviet Union because there is a clause about being Naturalised, that your country of Naturalisation can’t protect you in your country of origin unconditionally.” Jebb then remembered that a few days earlier Stafford Cripps’s economic advisor, Michael Postan, had been refused a visa by the Soviets because of his birth in Czarist Russia. Nonetheless, Jebb told Berlin that, for some reason, he believed that although a visa from the Soviet Embassy in London had not been honored, one from the Soviet Embassy in Washington would be. As to Weizmann, the Foreign Office files are quite clear that the Zionist organization was regarded as subversive in the same way that Nehru’s Congress Party was regarded as subversive, this without regard to the personal relationships of various political figures. You will recall that the 1948 war in Palestine was a war of the British Empire against the nascent Israeli state (not, as often described, as a war of the Arab states against Israel), the armed forces of Jordan and Egypt being then under British control. And as for Jebb, he was a central figure in Imperial secret intelligence matters (some parts of which, such as that in India, were much like the Gestapo and NKVD, at least from the point of view of the Indians). Someone should write his biography. Do you recall that, a few months ago, I asked you whether you had read ‘Misdefending the Realm’, and you replied ‘Not yet’? It would seem from this post that you have still not read it. I cover all this – and more – in my book. You also warned me recently of trusting the stories of Goronwy Rees. I would suggest that you show equal caution in trusting the reminiscences of Isaiah Berlin, who (as even Henry Hardy admits) was frequently very economical with the truth. Given Burgess’s sudden appearance as a pal of the Comintern in the summer of 1940, and his absconding to Moscow in 1951, can you not see that anyone who was involved with him at that time (Churchill, Halifax, Nicolson, Jebb, Berlin, Reilly, Menzies, Liddell, White, etc. etc.) would afterwards try to throw a smokescreen over the whole affair? Remember also, that the year under discussion is 1940, not 1948. It was a British politician, Balfour, who made the Declaration that granted the Jews a home. Most British politicians, including Churchill, were supportive of that initiative, though did not imagine how convulsive the issue would become since there was no knowledge of (the extent of) the Holocaust at that time. They wanted to finesse the matter – clumsily, of course – by not upsetting the Arabs, whom they needed as allies against Hitler. What really started to irk British politicians was when some Jewish rebels started supporting Hitler in the belief that that was the best way to fight the British. And the later killing of Lord Moyne really caused Churchill (and others) to question the commitment. But that was all later on. I think you overstate Jebb’s role in ‘Imperial secret intelligence matters’. He was not highly thought of in the FO, he was an ineffectual manager in SOE, and he was removed from the Russia Committee because of his pro-Soviet Union stance. His memoir contains the recollections of a vain man with lofty aspirations. I can think of many wartime individuals who merit biographical studies ahead of him. I’ve now begun to read “Misdefending the Realm” and find myself as usual admiring the depth and breadth of your research. I’ve dipped into the sections on the case of Klaus Fuchs, which I have been looking into of late, as well as the Berlin/Burgess matter. Turning to Berlin/Burgess/Moscow–I am sorry to say that you do not convince me that Burgess was in a position to allocate the resources and approvals necessary and that Jebb was not. Nor do I share your lack of appreciation of the latter. (This may be fairly ironic, as Lady Gladwyn personally berated me for my lack of admiration for her husband.) Cadogan’s gossip is not sufficient to qualify the actual facts of Jebb’s climb up the career ladder of the Foreign Office. You surely know the stories of Bevin’s jealousy of Jebb’s fame when the latter was at the UN. Also concerning Palestine: The Balfour Declaration has nothing to do with it. By 1940 the Imperial Government was notoriously opposed to allowing Jewish refugees into the Mandate and, as I pointed out, was the effective opponent of the nascent Israeli state in the 1948 war. As Nehru and Gandhi were imprisoned for most of the Second World War, so similar actions occurred in Palestine, including Operation Agatha, targeting the Jewish Agency itself. If I may venture an aside about the Fuchs affair. It is quite possible that the imprisonment of Fuchs delayed the British development of atomic energy (reactors and bombs) by at least a year and that of the hydrogen bomb by more. (More data points: After his release, Fuchs became head of the GDR nuclear energy program and at the time of his imprisonment he was one of the half dozen–or fewer–experts in the world on the design of the hydrogen bomb.) It would be interesting to know more about the discussions around those issues in the Government of the day.